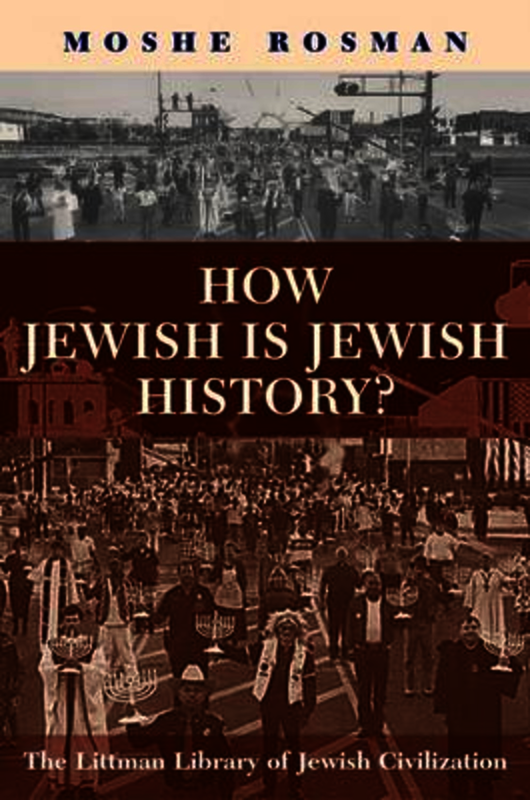 Liverpool University Press: Books: How Jewish is Jewish History? With great vigour and from the vantage point of long experience of writing and teaching Jewish history, Moshe Rosman treats the key questions that postmodernism raises for the writing of Jewish history. What is the relationship between Jewish culture and history and those of the non-Jews among whom Jews live? Can we-in the light of postmodernist thought-speak of a continuous, coherent Jewish People, with a distinct culture and history? What in fact is Jewish cultural history, and how can it be written? How does gender transform the Jewish historical narrative? How does Jewish history fit into the multicultural paradigm? Has Jewish history entered a postmodern phase? How can Jewish history utilize the methodologies of other disciplines to accomplish its task? All these are questions that Jewish historians need to think about if their work is to be taken seriously by mainstream historians and intellectuals, or indeed by educated Jews interested in understanding their own cultural and historical past. While engaging with the questions raised by postmodernists, the author adopts a critical stance towards their work. His basic claim is that it is possible to incorporate, judiciously, postmodern innovations into historical scholarship that is still based on documentary research and critical analysis. The resulting endeavor might be termed 'a reformed positivism'. Rosman presents a concentrated, coherent, cogent argument as to what considerations must be brought to bear on the writing of Jewish history today. By highlighting in one book the issues raised by postmodernism, How Jewish is Jewish History? provides those in the field with a foundation from which to discuss how it should be practiced in light of this generation's challenges. It is a valuable resource for students of Jewish history and historiography and a handy tool for scholars who must confront the issues aired here in their own more narrowly focused scholarly works.